Many Bellevue residents were de­spondent in 2008 when the communi­ty’s once-thriving shopping mall closed its doors. The property sat largely vacant for a decade at Interstate 40 and Highway 70 South, the high-profile corridor used by thousands of suburban dwellers each day to travel to and from the heart of Nashville. “The closing of the Bellevue mall, it was like taJclng a balloon and popping it, because it sucked the air out of the com­munity,” said acting Vice Mayor Sheri Weiner, who represents the Bellevue­area District 22 on the Metro Council. The mall served as more than just a shopping hub – it was a gathering place for the community. Weiner said she and other Bellevue residents would bring their kids to the mall’s play center on weekend afternoons, and on Halloween those kids would run from store to store gathering candy. But today, a decade after the mall shuttered, shoppers and diners are once again flocking to the 87-acre property. One Bellevue Place, an ambitious $268 million development, is nearing com­pletion on the site and already deliver­ing an economic jolt to the fast-growing West Nashville neighborhood, which has been amenity depleted for years. “There’s just a lot more energy and enthusiasm in the Bellevue area, and that’s leading to price appreciation on residential, it’s contributing to new home developments with new neigh­borhoods being built, as well as new commercial investment,” said Tim Sittema, managing partner with Charlotte, North Caroli­na-based Crosland Southeast, the lead developer of One Bellevue Place. Crosland partnered with Atlanta­based Branch Properties on the project. The official grand opening of One Bellevue Place on Thursday was the culmination of years of planning, demolition and construction. 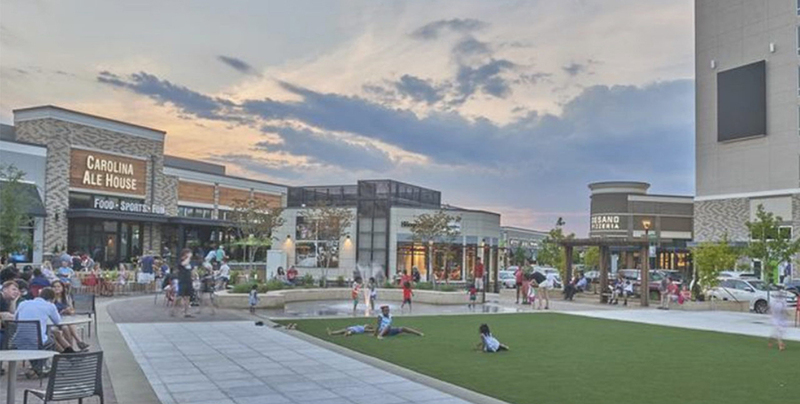 The walkable mixed-use development completely overhauled the site, bringing with it 15 restaurants, 23 retailers, an AMC movie theater, 337 apartment units, two hotels and 200 senior housing units. The Nashville Predators and Metro have teamed up to bring a 120,000-square-foot Preds Ice Center to the site, and Metro will build a community center next door. One hotel, the senior housing units, the ice facility and the community center have not been completed. The project initially included a large office component, but Sittema said that was scrapped because the mar­ket wasn’t ready. The retail/restaurant tenant lineup at One Bellevue Place is a mix of chain and independent operators, skewing more heavily toward national chains. The quality of tenants has been criticized by some Bellevue residents on social media who were hoping for upscale tenants, similar to Hill Center Green Hills, which has Whole Foods, Anthropologie, Pottery Barn and Kendra Scott. Other Bellevue residents are pleased with the area’s new retail additions. Restaurants at One Bellevue Place include Halal Guys, Well Coffeehouse, Panera Bread, Chicken Salad Chick, Desano Pizza, Bar Louie and Eastern PeaJc Asian Cafe. Retail tenants include Sprouts Farmers Market, Home Goods, Michaels, Off Broadway Shoes, Ulta Cosmetics and PetSmart. Service-oriented busi­nesses in the mix include Sola Salon, Nail Time and Sports Clips. 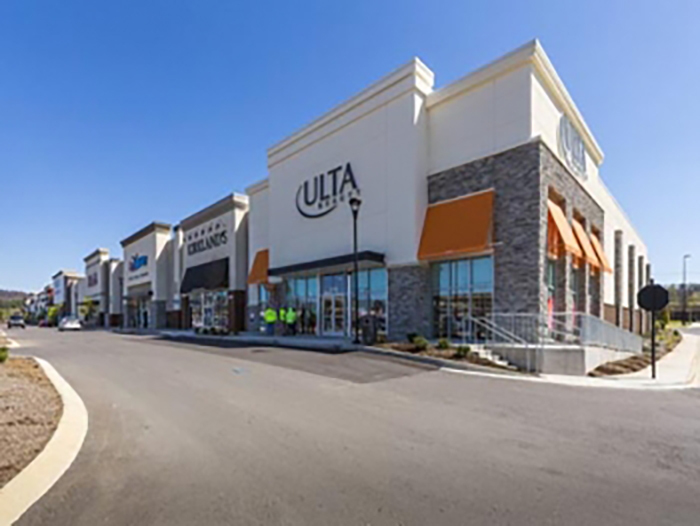 The retail space is about 92 percent leased, Sittema said. “We wanted to attract retailers and restaurants and other uses that would grow the trade area, meaning bring more people into the development on a day-to­day and week-to-week basis,” he said. Perhaps the largest regional draw to the site· right now is the AMC Bellevue 12. Bellevue once again has a movie theater after the devastating 2010 flood —which hit Bellevue particularly hard —permanently closed the Regal Cinema. For some tenants, committing to One Bellevue Place when a long-defunct mall sat on the site for a decade was risky. Desano Pizza Bakery owner Scott Desano said he considered It was the location of a failed mall but also knew Nashville was growing tremendously and was ripe for restaurant expansion. “(One Bellevue Place) was an opportunity to go to Bellevue, albeit there was some concern I might be early. But that’s the risk you taJce in this business in order to get a good location at a reasonable price,” De­sano said, adding he’s hopeful his expansion will pay off. Amy Napoli, CEO of the Bellevue Harpeth Chamber, is seeing new investment across Bellevue thanks to the renewed business interest in the community in the last couple of years. She said Planet Fitnesstook over a space occupied by Michaels before it departed for One Bellevue Place, Chaffin’s Barn Dinner Theatre underwent an extensive renovation, a restaurant is planned in an ex-Apple­bee’s on Highway 100, and some small cafes and fast­food restaurants have opened. Other existing Bellevue restaurants have remodeled to fend off the increased competition from One Bellevue Place. “I think there are fewer empty stores and empty spaces in retail developments,” Napoli said. Meanwhile, across the street from One Bellevue Place, a residential development called ParkVue will bring a mix of cottages and stacked flat condo units with a more urban-style, walkable feel than what currently exists in Bellevue. Sittema said he anticipates more developers to pour money into Bellevue in the coming years – a phenom­enon he witnessed after Crosland and joint venture partner Carolina Holdings developed the 103-acre Providence MarketPlace in Mt. Juliet. “Providence was an incredible catalyst for the Mt. Juliet area. It was one of the first developments to go there, and it catalyzed and accelerated development all around Mt. Juliet to an incredible degree. We saw the same potential opportunity in Bellevue,” Sittema said. This article was originally posted in the Nashville Tennessean.